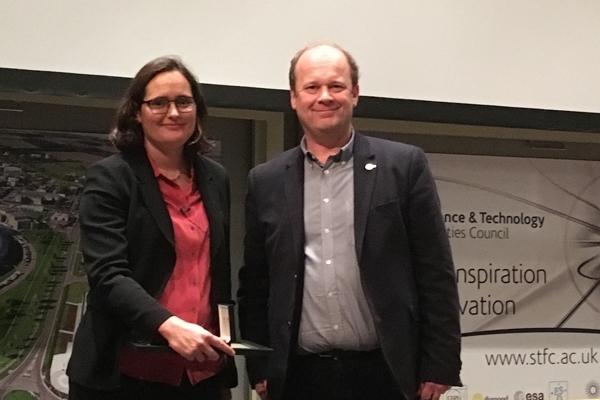 The UK Catalysis Hub has named Professor Charlotte Williams from the University of Oxford as person of outstanding achievement in catalysis for multidisciplinary contributions to the development and applications of catalysts for sustainable chemistry at the UK Catalysis Hub Winter Conference on the 14 December 2017. Professor Williams was selected from the nominations for top mid-career scientists working in the UK to win the Sir John Meurig Thomas Catalysis Medal for 2017. Speakers for the Catalysis Hub Winter conference included members of the Catalysis Hub and wider international catalysis community. The JMT medal was generously sponsored by BP, JM, Dr Reddys, Givaudan and the Royal Society of Chemistry Applied Catalysis Group.